We’re just a bunch of people who get a kick out of recycling. It feels nice, it’s good for Mama Earth, and it keeps junk from piling up around you (and around our landfills). 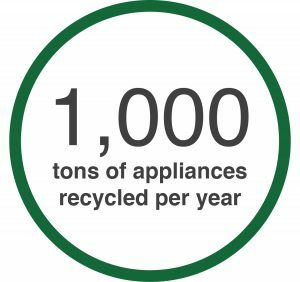 At Certified Recycling, LLC, our ongoing promise is to make recycling easier for you and easier on the planet, and we think we’re doing a pretty good job at it so far. We’re based out of Burnsville, but we make pickups all around the Twin Cities. Sure, there are other recycling centers in Minnesota, but a lot of them limit the number of items you can bring in. Our team, on the other hand, will take as many recyclables as we can handle—which is a lot. Send us a message or call us at 952-894-1448. Our goal (besides finishing our mattress castle in the break room) is to make recycling as easy as possible for you. 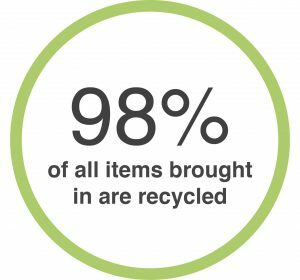 That means we’ll pick up your recyclables from your curb, from inside your house, or even help unload your car if you drop them off at our recycling center. We’re not too picky, either. 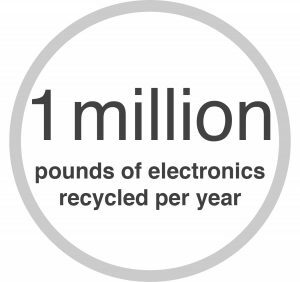 We’ll take electronics, appliances, furniture, bulbs, batteries, automotive equipment, and more—anything that’s better off recomposing than decomposing. For questions or more info, contact us online or call us at 952-894-1448.